Our trainees have an unparalleled opportunity to gain experience and training in the management of behavioral health service through our own nationally-renowned, academically-owned and operated management company. The practice of psychiatry has changed significantly over the past decade, driven by the reorganization in the delivery and financing of healthcare. Changes are occurring throughout medicine, and challenges to the way our profession cares for patients are being brought about by insurers, health maintenance organizations (HMOs) and for-profit behavioral managed care organizations, which are seeking to control expenditures and care delivery. These forces have fostered the development of care continua, integrated delivery systems and new attention to practice guidelines and outcome assessment. The ever-increasing market dominance by HMOs and managed care organizations requires psychiatrists to develop special skills, a sophisticated understanding of cost-effective treatment strategies, and knowledge of economic and organizational issues to advocate for our patients and profession. The Department of Psychiatry and Behavioral Sciences is at the forefront of mastering these challenges and changes in the behavioral health marketplace. 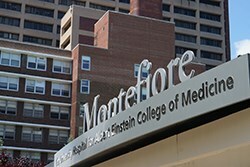 Through our own not-for-profit behavioral management services organization (MSO), University Behavioral Associates, and our independent provider association (IPA), the Montefiore Behavioral Care IPA, we have pioneered a new model of provider-dominated behavioral healthcare delivery. Our provider organizations oversee the delivery of care to Medicare, Medicaid and commercially-insured populations on a fully capitated basis throughout the Bronx and Westchester County. Residents may choose this elective to prepare themselves for careers in administrative psychiatry, managed care, practice in organized settings or the general practice of psychiatry, as forces in the medical marketplace are shaping it. Trainees gain a working knowledge of a provider-driven utilization and quality management company and become familiar with financial, clinical, theoretical and regulatory issues pertaining to provision of managed behavioral healthcare. Residents also have opportunities to work with staff providing managed behavioral healthcare and to receive additional training in brief psychotherapy, cognitive behavioral treatment and psychopharmacology. Additional options include participation with senior management to analyze utilization, quality and outcomes data for possible publication.